The newest entry in the Deus Ex series will mark its first time on a mobile device with Deus Ex: The Fall on iOS. Square Enix have announced a release date for this Thursday, July 11. They teased about it in June before announcing it’ll be coming to iPhone, iPad and iPod Touch. 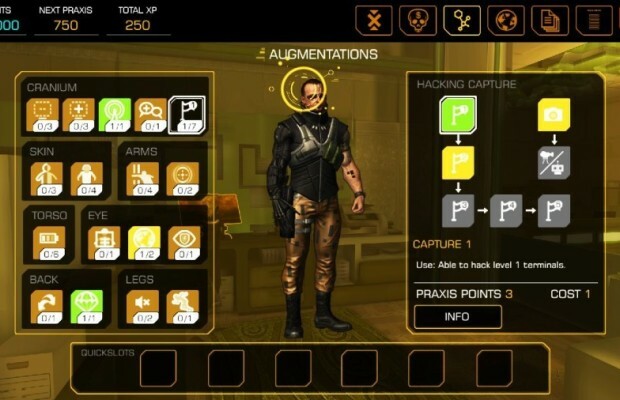 The title brings back the hacking and stealth gameplay from Human Revolution in an all touch-screen form. It’ll cost $6.99 on the App Store and will work on iPad 2 and above, iPhone 4S and above and iPod Touch 5 and above.